Last minute offers and list of retreat dates below. 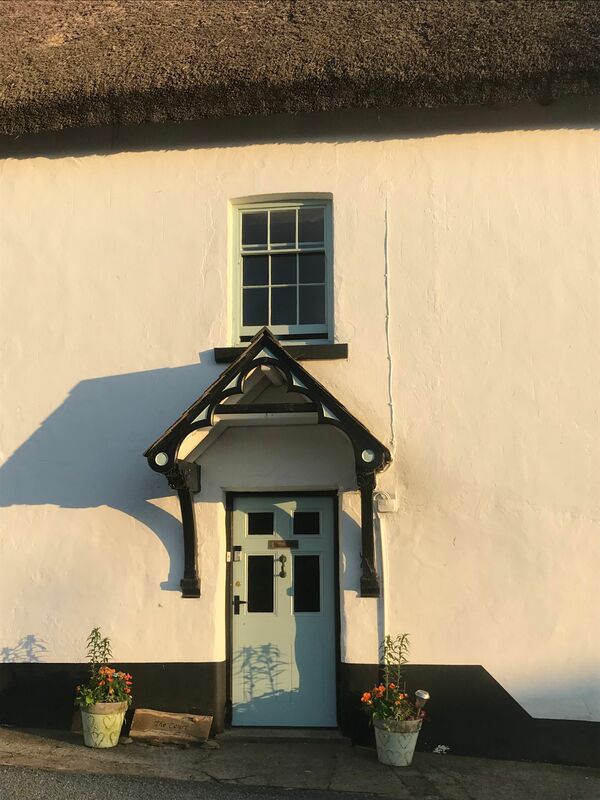 Fabulous Grade 2 listed 1600s thatched house in picturesque N Devon village (ex215ne), mini home gym, Labrador therapy, roaring fire, own room, NO CHORES! 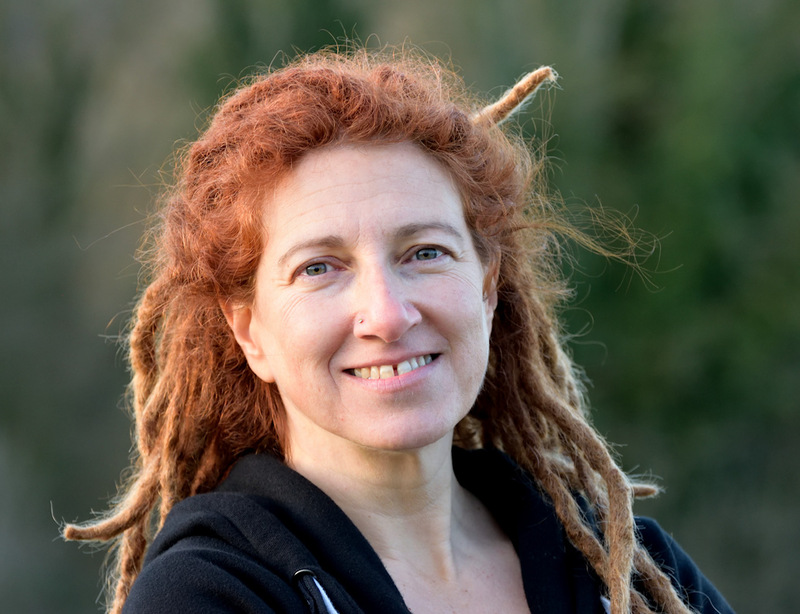 TUTORED WEEK 6 -10th May – Develop your novel with one to ones and tutorial each day – 2 places left, Jericho Writers’ Rebecca Horsfall will help unpublished authors develop their plot, dialogue, opening chapter etc. Really valuable for fast-tracking your novel. Then many dates on offer through Summer. 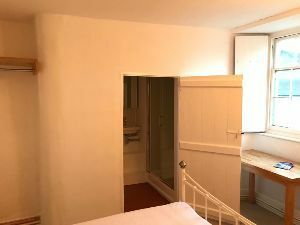 Ask about en-suite availability, £17 pppn extra Do ask – we would love to have you enjoy your own shower room – new for 2019! Check out our six dozen five star reviews here on Facebook page! 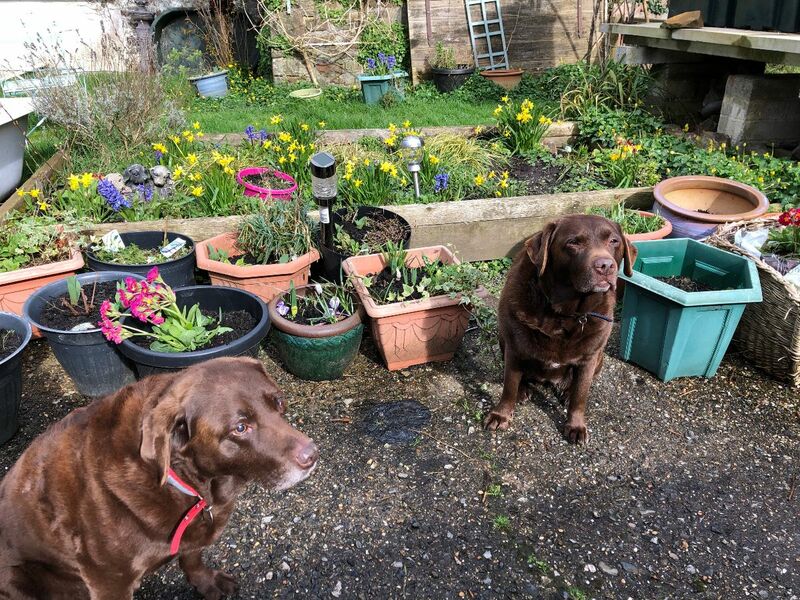 A true spring sun trap and place to sit outside surrounded by early blooms , writing in the beautiful courtyard with a snoring Labrador at your feet. We have already sold several places to people who immediately wanted to secure their own bathroom! Just £17 pppn extra. Ask about availability for your next stay. With its reclaimed barn door and farmhouse plaster work, it looks like it’s always been there! 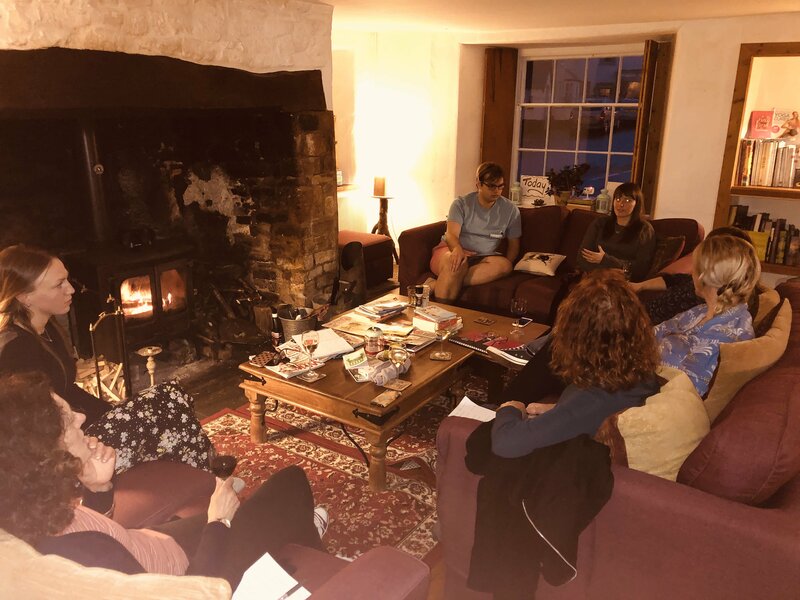 Our recent ‘Pitch to a Publisher’ weekend was an amazing success. Our five unpublished authors enjoyed unprecedented access to a whole day full of Q&As, delicious lunches, and insightful one-to-ones. Thank you so much to Phoebe Morgan, editorial director from Orion, and Charlotte Mursell from @HQstories, for visiting us and providing such a rare treat for our guests. They have agreed to do it again in the future, so if you’d like to bag a place, please email us to be on the waitlist. Two of our Guests had their full manuscripts requested, so you never know… Watch this space! If you are looking for advice about getting a book deal, and all aspects of publishing, remember that the writers and artists yearbook is available for 2019. With some brilliant new sections including crowdfunding your novel, every prospective author usually gets a copy of this, packed full of lists of agents and publishers, as well as facts about writing a book, it’s invaluable. 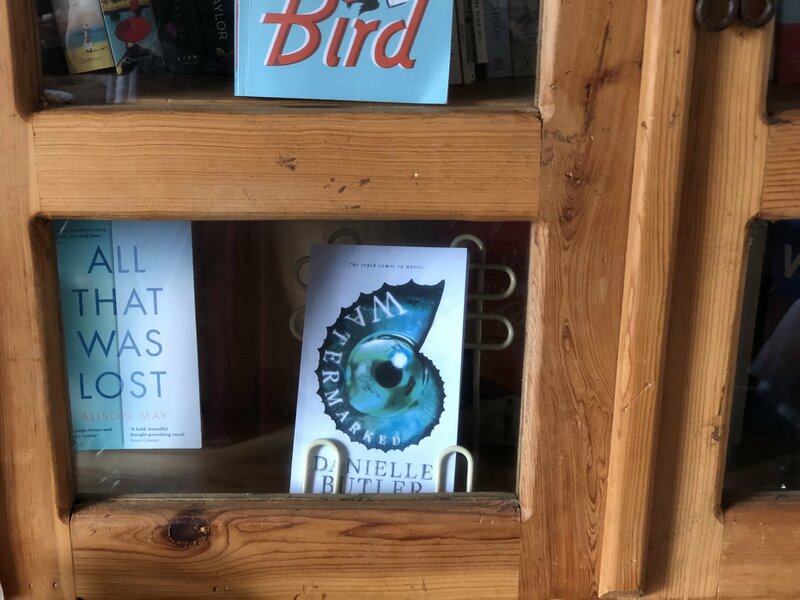 Congrats to Danielle Butler for her new novel ‘Watermarked’ which has taken pride of place in the coveted ‘latest additions’ stand in our Guests’ Bookshelves in the Dining Room. 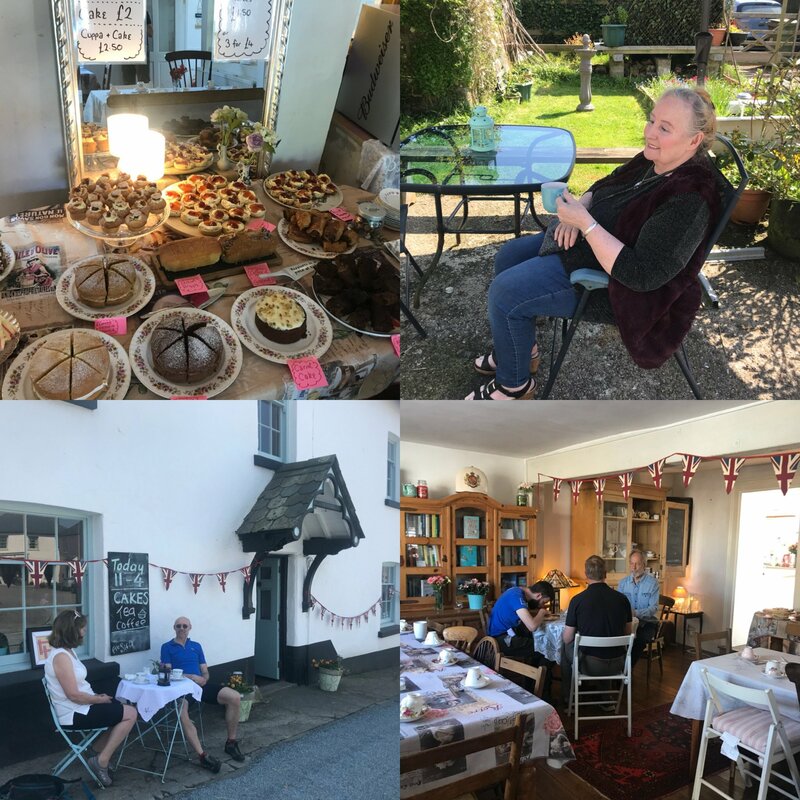 Our Wednesday tearooms return from the end of March and through the Summer. 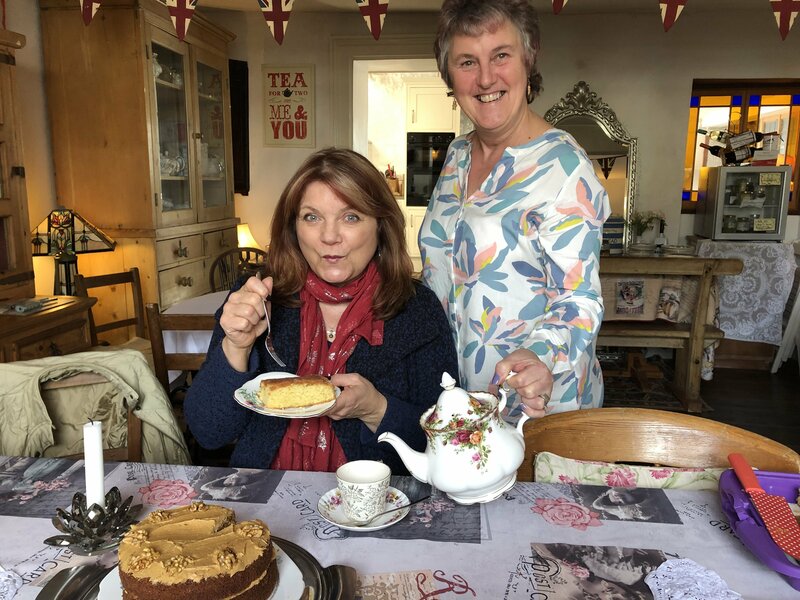 Local lady Angie, a talented baker and crafts person, has always wanted to run a tearooms, and she joins the team to open the dining room for a few hours on a Wednesday, with her amazing home-cooked coffee and walnut cake, lemon drizzle, and flapjacks. Wednesday guests will enjoy a lunch there and help themselves to free cake and afternoon tea. We aim to open Saturday and Sunday afternoons too for a few hours – more news soon. With her RFY week in June sold out, and her September 25 week all but gone, check out our regular tutor Alison’s other offerings. Thanks to tutor Debi Alper for putting me in touch with our workshop leader Rebecca Horsfall. Debi Alper has been a freelance editor since 2006, working on an average of 2-3 novels a month. She also runs the 6-week online Jericho Writers’ online Self-Edit Your Novel course, which boasts a 1 in 5 success rate for alumni going on to be published. Julie Morris is a talented blogger and came to our Pitch to a Publisher weekend as a promising first-time author. Writers can contact her – do include her on your blog tour. Please feel free to use whatever method best floats your boat from the options below. Hiring Retreats for You – writing groups. We already have two fully booked weeks this Summer where a writing group has opted to take over! If you would like to discuss this, we need a minimum of six people, but we can take spill over into the lovely pub opposite, up to another three or four. They will have bed and breakfast opposite and then join us for the rest of the day including lunch and dinner. There is a small supplement to stay in the pub but their bedrooms have en suites. Email to discuss. Canine Companions. 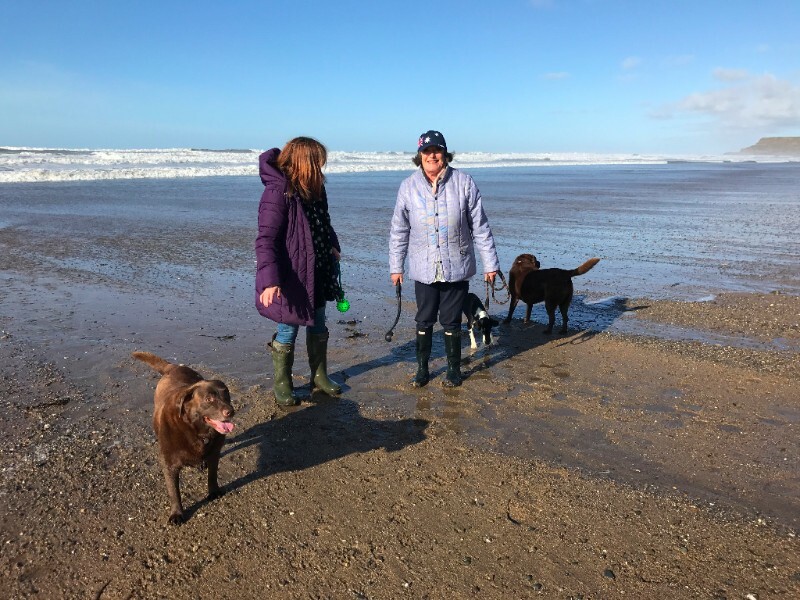 We have one downstairs bedroom which is able on occasion to accommodate small friendly dogs, especially canine companions – Medical Detection Dogs and their owners have stayed here with great success. There is a small fee and a £30 optional supplement for cleaning if needed. Balance has to be paid two weeks before the retreat commences. Dogs must be able to get on with two feisty but friendly resident Labradors. Please ask for full list of guidelines. 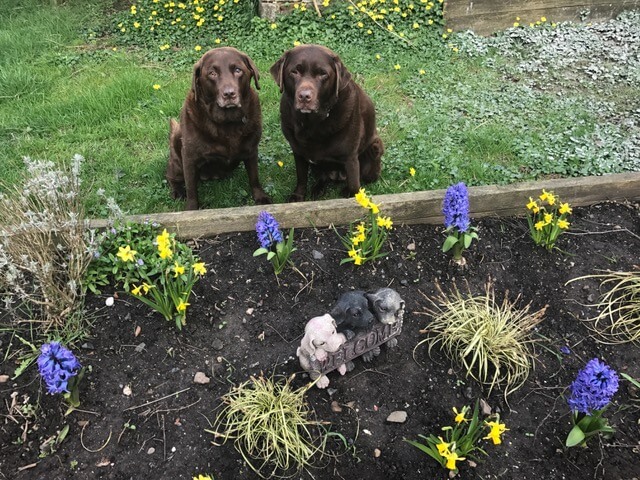 Exercise and treats during your stay – similarly, the two resident Labradors are very happy to go walkies, once you realise where the walk is down by the river Torridge, you are welcome to borrow one or 2 to accompany you on a stretch your legs break from your writing. 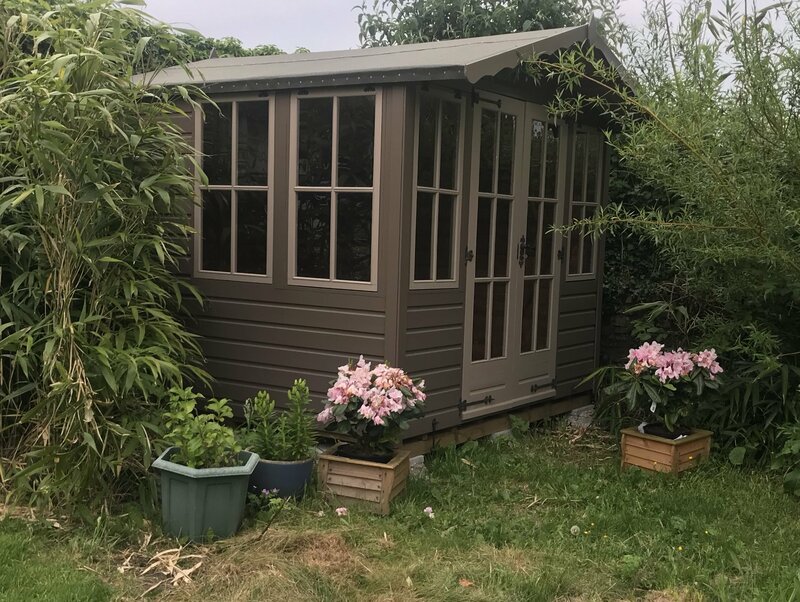 also now available to go and write, giving you a lovely view of the garden. We also have garden locations to write in when the weather is warm, it’s quite a sun trap out there! Watch the sunset with your glass of wine at ‘wine o’clock’ – we bring you a glass around 6pm. Plus we have a deluxe massage chair to help your back for 15 minutes.We can also put you in touch with a local massage therapist or beauty expert should you wish, just ask in advance of your stay. 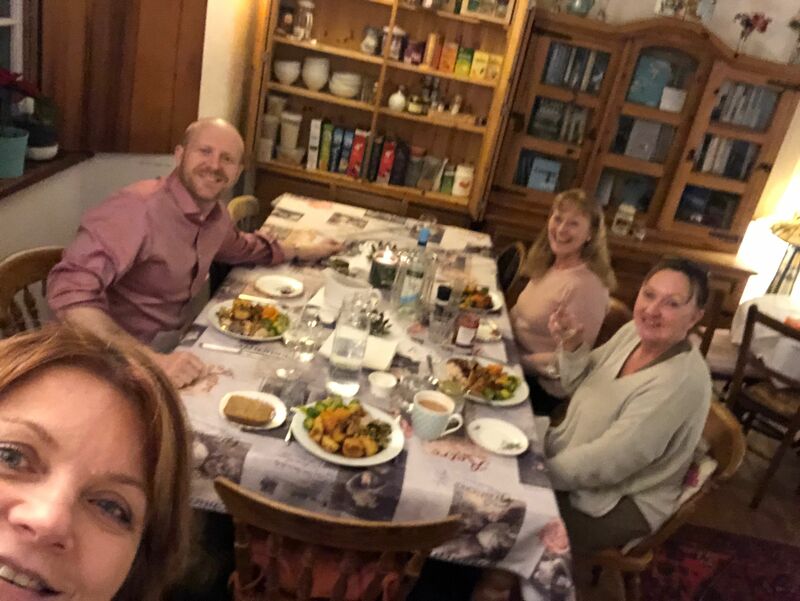 I do hope to hear from you soon and if there’s anything specific you want to ask just emailinfo@retreatsforyou.co.uk especially about the last minute offer for Monday 18th March. Or call us on 07949052208. Bed, self-serve breakfast; buffet lunch taken when you choose; non-stop tea/coffee/cake; plus evening dinner including wine. Rolling Devon countryside, roaring fire, mini home-gym; Summer house; pretty courtyard; Labrador therapy; hot water bottles in the bed; good company and hours of writing time. Mostly weekday offers – Arrive lunchtime Monday, depart late morning or early afternoon Friday. Taxi from Exeter St Davids station can be arranged with the local taxi lady. Easy parking in the square outside. EX215NE for sat nav. £50 deposit (transferable for up to six months, if postponing more than two weeks before the retreat begins. Balance payable when you arrive at the retreat. Full prices and practicalities are on our website here. Email us info@retreatsforyou.co.uk or leave a message on 01409 231252, or text or call 07949052208 for more info and for additional dates.